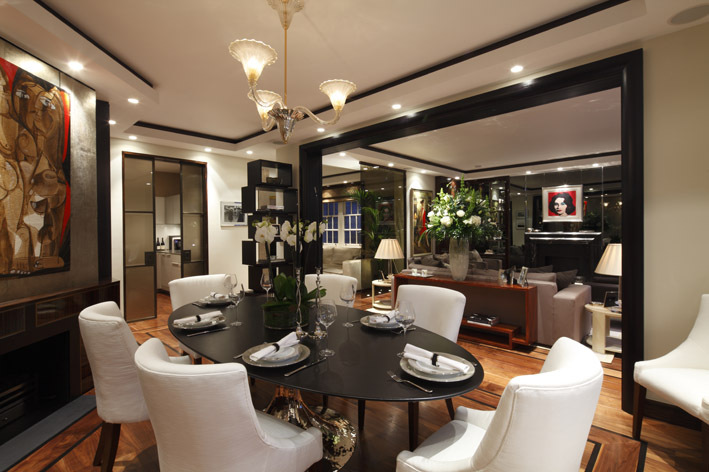 Davies Street apartment is a magnificent residential project by Casa Forma in one of the most sought after areas in Mayfair London. The lateral 4 bedroom apartment spreads across the 3rd floor of a Georgian pottered building with neighbouring well know restaurants and boutiques. The entrance floor leading off to the corridor consisted of a natural rare off white stone with trims and details in bronze these details were also used in other areas to bring the same concept. Melted bronze and silver sheets of metal cladded to feature walls worked in harmony with the ebonized makassar panelling. Other walls were finished in polished plaster and upholstered with calf skin. 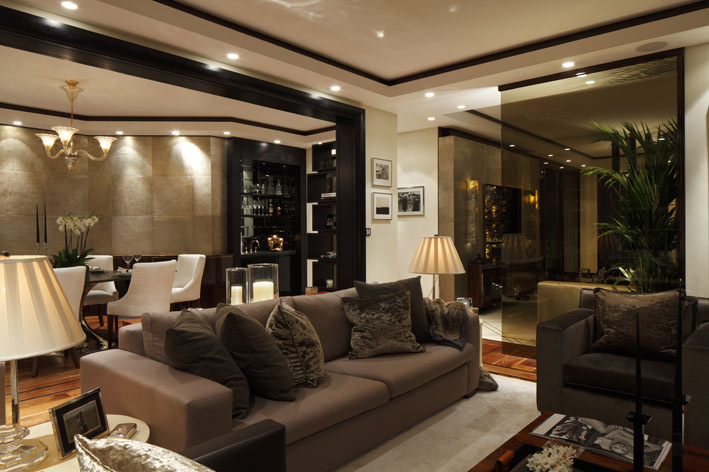 The apartment was designed and built with a wide range of materials used to bring a lively sophisticated look, with a mixture of stained walnut, ebonised and ebony macassar timbers. 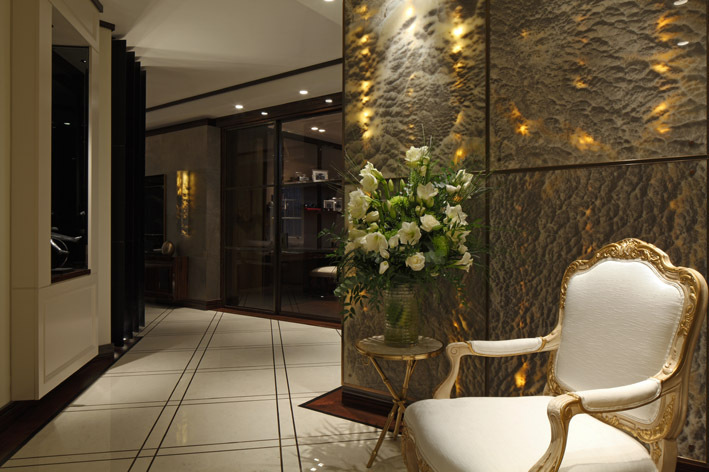 Moon onyx was cladded to the entrance foyer walls which was back lit to give a subtle glow of light, bronze trims were designed to frame the onyx as if a piece of art. The approach to the bedrooms was to keep the space subtle in tones of color creating a textured feature wall behind the beds. There are traces of walnut and ebonized makassar which has been used to design the bespoke joinery. Cleverly designed radiator cases are in all rooms which again are concealed behind paneling. 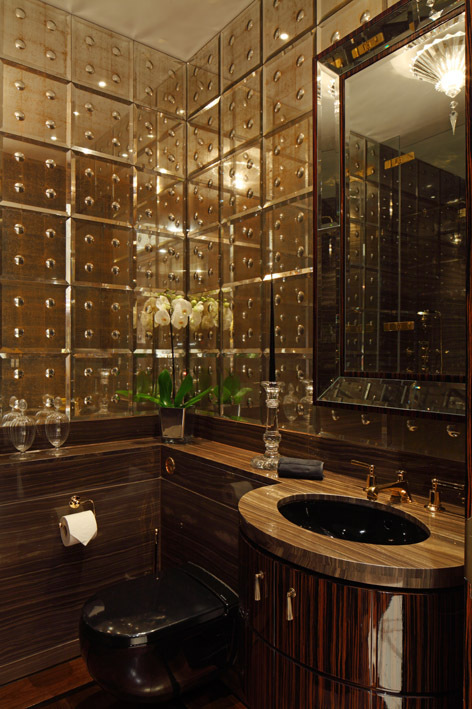 The en suite bathrooms use the same tones of color with rare natural stone and antique gold bathroom sanitary ware. 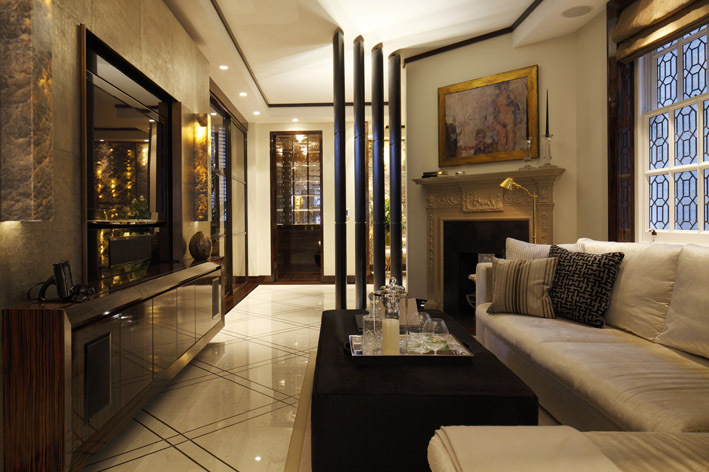 With huge amounts of quality craftsmanship and sophisticated materials, Casa Forma transformed the apartment into in a rich lively unique living space in tune to the luxury surroundings of Mayfair. Posted on January 21, 2014 by AparnaPosted in Decor, Design, Interior DesignTagged decor, design, Interior design, Lifestyle, London, Luxury. Thank you for the blog, from everyone at Casa Forma. Every person has his own views and dreams. Nice post and thanks for shairng. 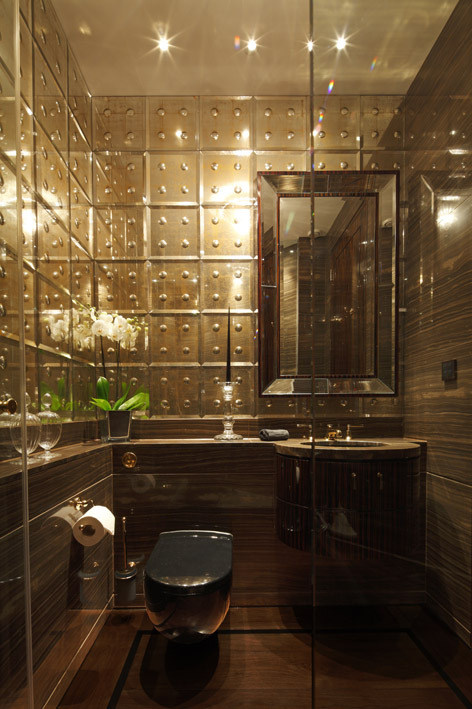 Melted bronze and silver sheets of metal cladded to feature walls worked in harmony with the ebonized makassar panelling. Other walls were finished in polished plaster and upholstered with calf skin.